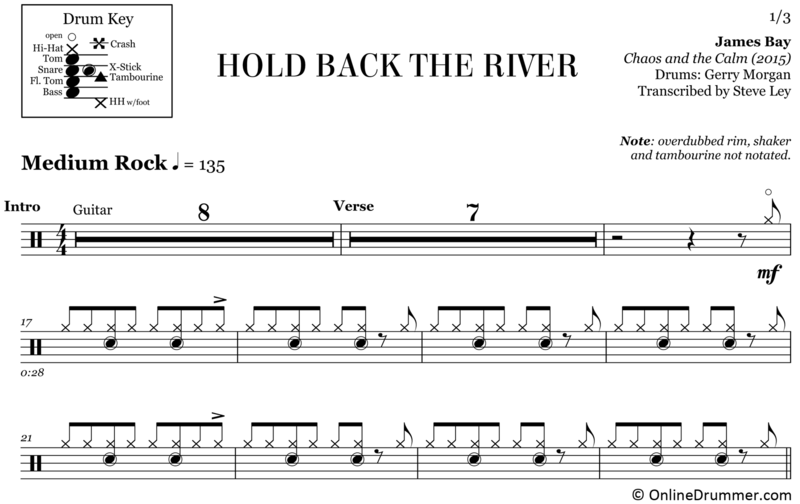 The full drum sheet music for “Hold Back The River” by James Bay from the album Chaos and the Calm (2015). A refreshing break from the standard 2 and 4 backbeat, Gerry Morgan laid down an amazing drum track. About halfway through the song, Morgan begins “riding” the low tom and filling-in with the high tom to create a rich, full drum part.